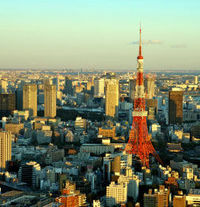 Got a question or comment about CityTours in Tokyo? Ask a Travel Expert! There's so much to see in bustling Tokyo and a tour is the perfect way to explore the city, from traditional Japanese temples to the iconic Tokyo Tower and ultra-modern shopping centres. Visit the Shinto Shrine and the Asakusa Temple, or enjoy a traditional tea ceremony at the Japanese Garden, Happo-en. Take a Sumida River cruise, or enjoy dinner on a Yakatabune boat in Tokyo Bay. 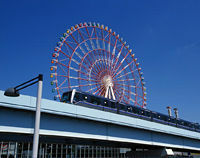 There are walking tours in the historic Ueno and Yanaka areas, as well as excursions to the Odaiba seaside. The Ginza shopping district offers some great bargains, while there are sushi making lessons offered on a tour of the Tsukiji Fish Market. 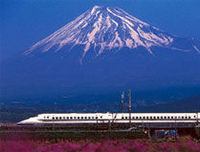 Visit Japan's iconic Mount Fuji on Tokyo?s most popular day tour, then return to Tokyo by famous Shinkansen Bullet train. You'll enjoy lunch on Mt Fuji, cruise Lake Ashi and ride the aerial cableway at Mount Komagatake for sweeping views of the celebrated Hakone National Park.On your full-day trip from Tokyo you'll travel by coach to the Fuji visitor center to see cultural art dedicated to Fujisan. The center is closed on Mondays, when a visit to the Peace Pagoda is made instead. As you drive up to Mt Fuji's fifth station at 7,607 feet (2,305 meters) you?ll be inspired by the beauty of the Japanese landscape. Lunch (if option is selected) is at a Japanese restaurant, and there are a variety of other Western, Chinese and Italian restaurants to choose from. After lunch, you'll enjoy the crisp mountain air and Mt Fuji views while cruising Lake Ashi and riding the aerial cableway at Mount Komagatake overlooking Hakone National Park. Your day trip to Mount Fuji concludes with a ride on the famous Shinkansen (Bullet train) super-express for the return journey to Tokyo. 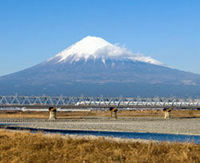 At 12,388 feet (3,776 meters) Mount Fuji is Japan's highest mountain. Rarely, on clear days, Fujisan's perfectly shaped volcano slopes can be seen from Tokyo and Yokohama, but views are always subject to weather conditions as mountain weather is notoriously unpredictable. Visibility tends to be better during the colder months, in the early morning and late evening. When the driveway up to Mt.Fuji's 5th station is closed in winter due to heavy snow, visit Fujiyama Museum instead. Mt.Komagatake Aerial Cableway will be skipped due to peak autumn leaves high season traffic conditions without an alternative on the following days: Sept 14, 15, 21, 23, 28 Oct 3, 10, 17, 24, 30, Nov 2, 3, 22 Other visits may also be omitted of substituted depending on traffic and weather conditions or for other operational reasons. No refund will be given. Click here to find out more about this deal! Visit Japan's iconic Mount Fuji, cruise Lake Ashi and ride the aerial cableway at Mount Komagatake on this popular day trip from Tokyo. You'll enjoy lunch on Mt Fuji and have sweeping views of celebrated Hakone National Park from Mt Komagatake.On your full-day trip from Tokyo you'll travel by coach to the Fuji visitor center to see cultural art dedicated to Fujisan. The center is closed on Mondays, when a visit to the Peace Pagoda is made instead. As you drive up to Mt Fuji?s fifth station at 7,607 feet (2,305 meters) you'll be inspired by the beauty of the Japanese landscape. Lunch (if option is selected) is at a Japanese restaurant, and there are a variety of other Western, Chinese and Italian restaurants to choose from. After lunch, you'll enjoy the crisp mountain air and Mt Fuji views while cruising Lake Ashi and riding the aerial cableway at Mount Komagatake overlooking Hakone National Park. Your day trip to Mount Fuji concludes with a coach ride back to Tokyo. At 12,388 feet (3,776 meters) Mount Fuji is Japan's highest mountain. Rarely, on clear days, Fujisan's perfectly shaped volcano slopes can be seen from Tokyo and Yokohama, but views are always subject to weather conditions as mountain weather is notoriously unpredictable. Visibility tends to be better during the colder months, in the early morning and late evening.Please note: Mt.Komagatake Aerial Cableway may be skipped due to traffic conditions without alternative on the following days Sept 14, 15, 21, 23, 28 Oct 4, 5, 13, 18, 19, 25, 26 Nov 2, 3, 22 When the driveway up to Mt.Fuji's 5th station is closed in winter due to heavy snow, visit Fujiyama Museum instead Other visits may also be omitted of substituted depending on traffic and weather conditions or for other operational reasons Click here to find out more about this deal! Explore the scenic shrines and countryside of the Nikko National Park on a day trip from Tokyo. Nikko has been a center of Shinto and Buddhist mountain worship for centuries, and is famous for its shrines, mountain landscapes, lakes, waterfalls, hot springs, wild monkeys and hiking trails.You'll also visit Nikko, a small city at the entrance to the national park. The highlight here is the world-famous Toshogu Shrine, the mausoleum of the first Tokugawa Shogun. It's a gorgeous complex of colorful structures featuring the superb craftsmanship of Japan's 17th-century artisans. Look out for the famous carving of the hear no evil, see no evil, speak no evil monkeys. You'll then enjoy a delightful drive up the zigzagging Irohazaka driveway up the mountains, negotiating 20 hairpin curves. After a Japanese lunch at a local restaurant, you'll visit beautiful Lake Chuzenji (Chuzenjiko) in Nikko National Park, at the foot of the sacred volcano Mount Nantai. The lake was formed by lava flows from the now-extinct volcano several thousand years ago. After viewing the 351-foot (100-meter) Kegon Waterfall, one of the three finest falls in Japan, you'll follow the Irohazaka zigzag driveway back down the mountains, following a different route with 28 bends. Nikko and the area around Lake Chuzenji are well known for their beautiful fall foliage (koyo). The best times to view the rust-colored leaves is usually mid-October for Lake Chuzenji and early to mid-November for central Nikko. Click here to find out more about this deal! Escape the big-city bustle to explore Mt Fuji, stay in scenic Hakone then zoom back to Tokyo by Bullet train on this overnight jaunt. You'll cruise Lake Ashi, take a ride on the Mt Komagatake aerial cableway, soothe away your cares in a hot spring bath in Hakone and have a day free to explore this exquisite resort town.Your tour begins with a relaxing coach trip to Mt Fuji, Japan's highest mountain. You'll visit the Fuji visitor center to see cultural art dedicated to Fujisan, cruise Lake Ashi and ride the aerial cableway to the top of Mt Komagatake for superb views over Hakone National Park. You'll then stay the night at Hakone, famous for its hot springs (known as onsen) and natural beauty, with a choice of three accommodation options.Next day you'll have the whole day free to explore Hakone at your leisure, with a one-day Hakone pass provided free of charge. The pass covers the Hakone Tozan Bus/Train/Cable Car, Hakone Ropeway, Hakone Sightseeing Ship, Numazu Tozan Tokai Bus and Odakyu Express Bus. You'll then make your own way to Odawara Station by local bus or train to return to Tokyo by Shinkansen Bullet train, arriving at around 8pm. Note that your Shinkansen reservation cannot be changed, and travel time is around 40 60 minutes.Please note: Mt.Komagatake Aerial Cableway will be skipped due to traffic conditions without an alternative on the following days: Aug 2, 3, 9, 10, 15, 16, 17, 23, 24, 30, 31 Sept 14, 15,21, 23, 28 Oct 4,5,13,18, 19,25, 26 Nov 2,3,22 When the driveway up to Mt.Fuji's 5th station is closed in winter due to heavy snow, a visit to Fujiyama Museum will be included instead. Komagatake Ropeway or Cruise on Lake Ashi may also be omitted or substituted depending on traffic, weather conditions, or for other operational reasons. In this case, you will enjoy one in case of either of them omitted or two for both of them omitted out of following alternatives; Narukawa Museum in Hakone, Hakone Check Point, Cruise on Lake Kawaguchi and Lake Kawaguchi Ropeway. Your tour guide will finalize alternative places, based on careful study of tour movement and other conditions. Click here to find out more about this deal! There's much to see in bustling Tokyo and this full-day tour is the perfect introduction to the city's sights. You'll visit Japan's most famous Shinto shrine, take a stroll around the gardens of the Imperial Palace and spend time at Tokyo's oldest Buddhist temple. Complete your comprehensive city tour with a relaxing 50-minute cruise on Tokyo Bay.Your full-day tour includes the following highlights: Meiji Shinto Shrine, Japan's most famous Shinto shrine, dedicated to the Emperor Meiji and his consort Akasaka Palace, now known as the Akasaka Guest House and used as state accommodation for visiting dignitaries Driving past the Japanese Capitol (House of Parliament) Strolling through the impressive Imperial Palace East Garden, once the grounds of an old Edo castle, with a tea pavilion, Japanese garden, moats and stone walls the garden is closed on Mondays and Fridays, when you will visit Nijubashi (Double Bridge) at the main gate of the Palace instead Asakusa Kannon Temple (also known as Senso-ji), the oldest and most popular Buddhist temple in Tokyo Nakamise Shopping Street, a colorful shopping arcade crammed with tiny food and souvenir shops Driving through the famous Ginza shopping district, Tokyo's most celebrated shopping and amusement area Western-style lunch (vegetarian options available) at the Pastel-Tei restaurant overlooking the Hamarikyu Garden, the only surviving Edo-period seaside garden 50-minute Tokyo Bay cruise Drive over Rainbow Bridge to visit the futuristic waterfront Aqua City shopping mall Please note: tour does not stop in Odaiba during the Tokyo Fireworks on 9 and 10 August Click here to find out more about this deal! Choose from a two-day or three-day Bullet train excursion to Kyoto and Nara from Tokyo. You'll tour Nara's temples and shrines, spend the night in Kyoto and take morning and afternoon sightseeing tours of Kyoto. You'll then have the option of spending a second night in Kyoto, with a day free to spend at your leisure exploring the city that's known as the cradle of Japan's cultural heritage.As you zoom your way to Kyoto from Tokyo by Bullet train, look out for splendid views of Mt Fuji if the weather permits. After lunch at the New Miyako Hotel, you'll travel to Nara in Japan's Kansai region. Nara was the country's first permanent capital city, and has an abundance of Unesco World Heritage sites. You'll visit the Todaiji Temple housing a great image of Buddha, colorful Kasuga Shrine with 3,000 lanterns, and the Deer Park, where tame deer freely roam. After spending the night in Kyoto, you'll visit the Golden Pavilion, Nijo Castle, noted for its gorgeous interiors, and KyotoImperial Palace. After lunch at the Kyoto Handicraft Center, you'll visit Sanjusangendo Temple with its 1,001 impressive images of Buddha, the vermilion-hued Heian Shinto shrine and the Kiyomizu Buddhist temple. You then have the option of returning to Tokyo by Bullet train, or staying another night in Kyoto and returning to Tokyo by Bullet train the next evening after spending the day exploring the city at your leisure.Please Note: Nijo Castle - On Tuesdays in January, July, August and December 'Nijo Castle' is closed a visit to 'Ryoanji Temple' will be included instead. Kyoto Imperial Palace - On Saturdays, Sundays and national holidays and some other days, Kyoto Imperial Palace is closed and a visit to 'Kitano Tenmangu' will be included instead. On June 25, September 25 and December 25, you will visit 'Ryoanji Temple' instead. IMPORTANT: The Imperial Palace will be closed on April 22 and April 30, 2009. The Imperial Palace will be substituted with a visit to the Nishihonganji Temple. The Nishihonganji temple houses several national treasures and is a UNESCO world heritage site. Click here to find out more about this deal! Capture the quintessential Japanese travel experiences - Mt Fuji, Kyoto and Nara - on a three-day Bullet train rail tour from Tokyo. 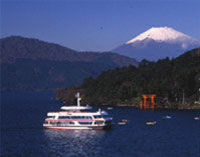 Your experience begins with the spectacular scenery of Mt Fuji and Hakone National Park. 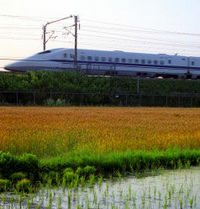 Continue by Bullet train to Kyoto where you'll spend the next two nights. On day two discover Kyoto's rich history and culture with visits to the Golden Pavilion, Jijo Castle and Kyoto's Imperial Palace. In the afternoon travel to the historic city of Nara, the first permanent capital of Japan. Highlights include Todaiji Temple and Nara Deer Park. On day three you'll have the option to returning to Tokyo by Bullet train after spending the day sightseeing at your leisure, or staying on in Kyoto.IMPORTANT: The Imperial Palace will be closed on April 22 and April 30, 2009. The Imperial Palace will be substituted with the Nishihonganji Temple. The Nishihonganji temple houses several national treasures and is a UNESCO world heritage site.Your tour begins with a relaxing coach trip to Mt Fuji, Japan's highest mountain. Cruise Lake Ashi, enjoy a ropeway ride over Owakudani Valley and zoom your way to Kyoto aboard a high-speed Shinkansen Bullet train. Next day, you'll take a morning sightseeing tour of Kyoto's famous cultural sites, visiting the Golden Pavilion, Nijo Castle, noted for its gorgeous interiors, and Kyoto Imperial Palace. After lunch at the Kyoto Handicraft Center, you'll travel to Nara and its abundance of Unesco World Heritage Sites. You'll visit the Todaiji Temple housing a great image of Buddha, colorful Kasuga Shrine with 3,000 lanterns, and the Deer Park, where tame deer freely roam. On the third day, you can either spend the day sightseeing at your leisure and return to Tokyo by Bullet train in the evening, or you can choose to stay on in Kyoto.Please Note:When the driveway up to Mt.Fuji's 5th station is closed in winter due to heavy snow, a visit to Fujiyama Museum will be included instead. Komagatake Ropeway or Cruise on Lake Ashi may also be omitted or substituted depending on traffic, weather conditions, or for other operational reasons. In this case, you will enjoy one in case of either of them omitted or two for both of them omitted out of following alternatives; Narukawa Museum in Hakone, Hakone Check Point, Cruise on Lake Kawaguchi and Lake Kawaguchi Ropeway. Your tour guide will finalize alternative places, based on careful study of tour movement and other conditions. Click here to find out more about this deal! See Tokyo at its dynamic best on this jam-packed day of sightseeing. Perfect if your time in Tokyo is limited, you'll see all the highlights such as Tokyo Tower and the Imperial Palace, take part in a traditional tea ceremony and enjoy a relaxing 40-minute cruise on the Sumida River. A free souvenir map of Tokyo is also included.The highlights on your full-day tour include: Panoramic views of Tokyo from the observatory of Tokyo Tower Taking part in a traditional tea ceremony and admiring bonsai trees at the Japanese Garden, Happo-en Feasting on a barbecue lunch at Chinzanso Restaurant (vegetarian options available upon request) Driving past the Japanese Capitol (House of Parliament) Short photo stop at the plaza in front of the Imperial Palace Driving through the world-famous Ginza shopping district to experience the excitement of Japan's most celebrated shopping and amusement area Enjoying a 40-minute boat ride on the Sumida River, from Hinode pier on Tokyo Bay to Asakusa Asakusa Kannon Temple (also known as Senso-ji), the oldest and most popular Buddhist temple in Tokyo Nakamise shopping street, a narrow, paved entrance way to a temple crammed with tiny food and souvenir shops Plus you'll receive a free souvenir map of Tokyo! Click here to find out more about this deal! If your time in Japan is limited and you don't want to miss the sights of Kyoto, zoom there and back by Bullet train on this comprehensive one-day rail tour from Tokyo. 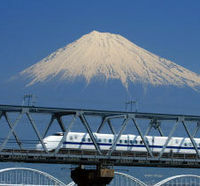 Weather permitting, you'll have splendid views of Mt Fuji from the Shinkansen Bullet train en route. Escorted by a professional guide, you'll embark on an afternoon city tour of Kyoto and enjoy local lunch before returning to Tokyo.After lunch at the New Miyako Hotel, you'll enjoy an afternoon of sightseeing in the beautiful traditional city of Kyoto. You'll visit the Buddhist Sanjusangendo Hall with its 1,001 impressive images of Buddha, the vermilion-hued Heian Shinto shrine and the Kiyomizu Buddhist temple, with its wooden veranda. In the early evening you'll board a Shinkansen Bullet train back to Tokyo to spend the evening in the capital. Click here to find out more about this deal! 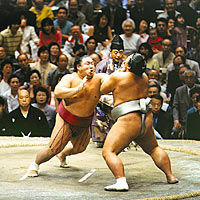 Don't miss the opportunity to see a traditional Sumo tournament when you're in Tokyo. You'll take the subway with fellow Sumo fans to the Kokugikan (Sumo Amphitheater) and enjoy a traditional Sumo wrestling tournament. YouÂ’ll also visit the fascinating Sumo Museum to see Sumo-related objects from the Edo period to the present.At the amphitheater you'll experience a Dohyo-iri (entering the ring) ceremony and see exciting Sumo matches from your B-class reserved seat on the second floor. English commentary via audio headphones is available. Click here to find out more about this deal!